At first sight, Bishan village doesn’t come across as a poor village; the traffic conditions are good, the small county seat is only 15 min away on electric scooter, the preferred vehicle of most villagers, and the county seat boasts a new hospital, a new school, rows of new townhouses and apartment blocks, construction sites and smaller factories. There are also plenty of newly built houses in Bishan. Nevertheless, the wealth represented by these new houses does not come from the local economy, but is almost entirely based on young people going to the city to work, sending money home, building houses they do not themselves reside in. Old people and small children constitute the actual population, as most young people have left to work in the more developed urban areas. Furthermore, many families, who have migrated to the city, have had no legal way of selling the land they no longer reside on, leaving the village dotted with empty houses. Yi County is renowned for its well-preserved Hui-style villages, and the growing reliance on tourism through the past ten years has altered the economic foundation of these villages considerably. Bishan is, however, not one of the tourist sites. Even though Hui-style remains the predominant architectural feature, the many newly build houses cause a lack of visual, rural authenticity so crucial to urban tourists. Nevertheless, Bishan has become attractive to investors, mainly within the hotel sector, who wish to take advantage of its good access and proximity to famous tourist destinations. 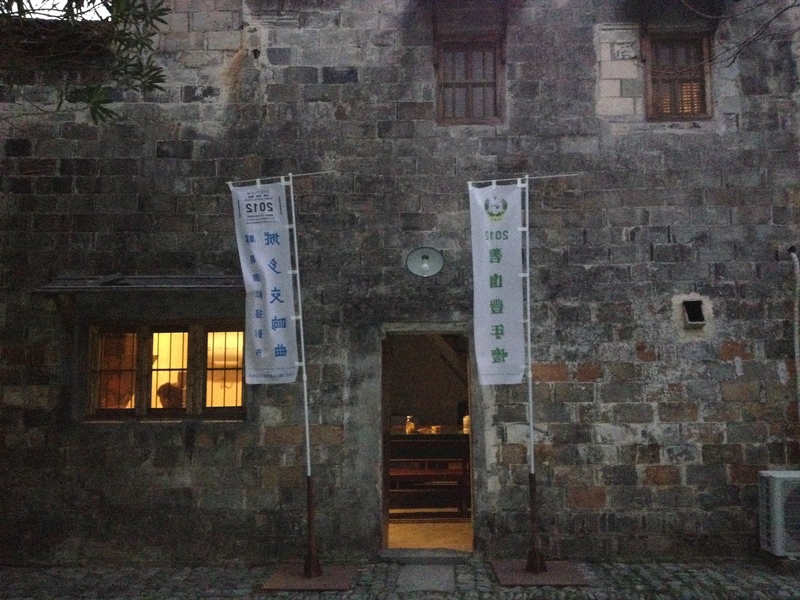 In this Huizhou village on the foot of the Yellow Mountain range, artist, curator and editor Ou Ning and his colleague Zuo Jing initiated Bishan Commune in 2011: a call for a return to the countryside and a renewed relationship between urban and rural areas, countering the official line of further urbanization. An old compound in traditional Hui-style in the centre of Bishan constitutes the headquarters of Bishan Commune. 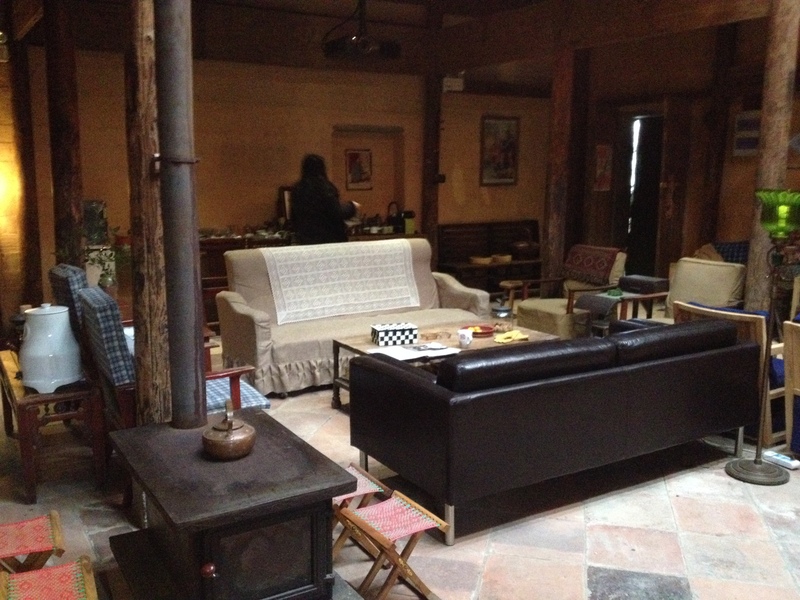 Ou Ning bought the house in 2010 and called it the Buffalo Institute. In the spring of 2013, he moved permanently to Bishan with his family (mother, younger brother, nephew, girlfriend and her son). The move indicates a significant turning point for Bishan Commune, which has now entered a new phase of action and interaction. 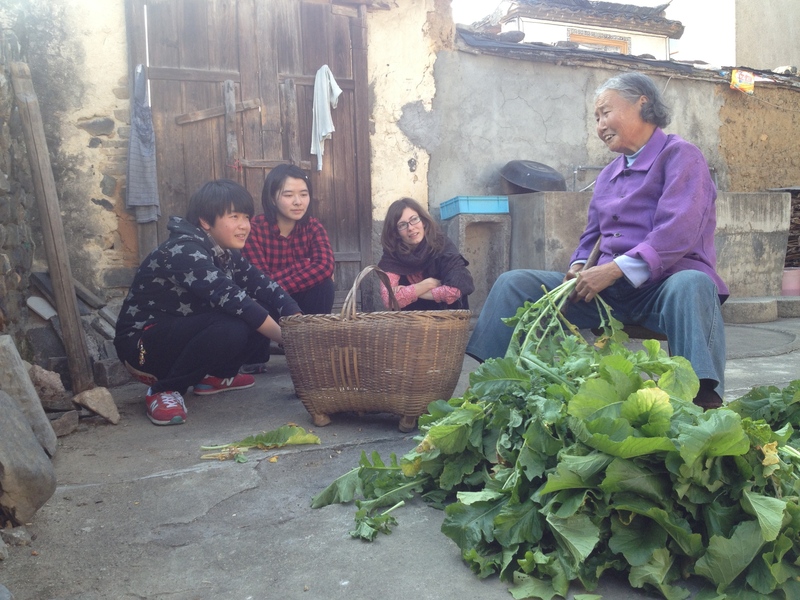 A constant flow of visitors, foreign and Chinese, urbanities and local villagers, passes through the house and for longer or shorter stays, either to work and share ideas with Ou Ning, to carry out projects like investigations of the local folk music or handicrafts, fieldwork studies of the countryside or simply, as many do, experience the traditional but renovated hui-style houses. 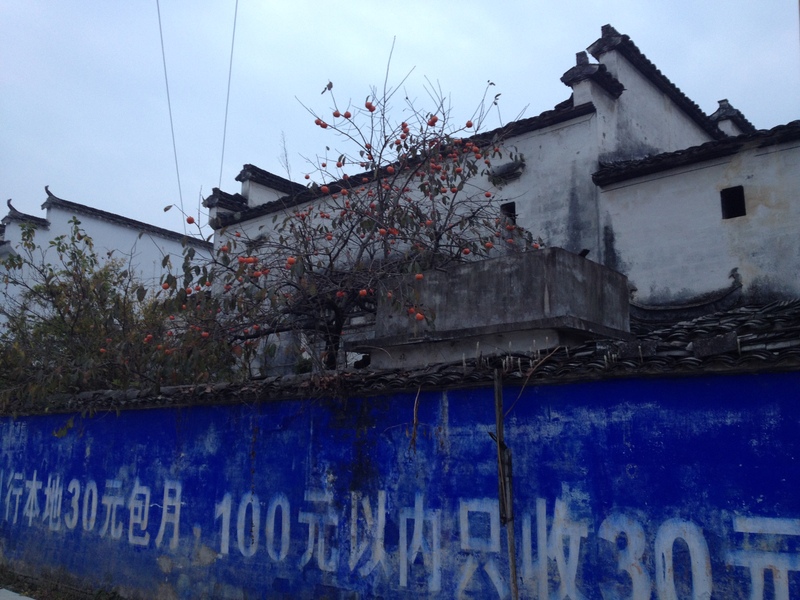 The house occupied by Buffalo Institute used to be the dormitory for youths ‘sent down’ to the countryside during the Cultural Revolution: a process that is now somehow repeating itself, albeit under very different circumstances. Buffalo Institute is a gathering space of free, independent learning and sharing, where elaborate discussions on the unfolding of Bishan Commune and the future of Bishan village continuously take place, as a result of Ou Ning and his family’s warm curiosity and generosity. Ou Ning was not legally allowed to buy the house in 2010, so the proof of ownership still carries the name of the previous owner. In the countryside there are roughly three categories of land: farmland (collectively owned by the villagers), state owned land and residential land (the land your house is built on). Farmland can be expropriated and converted into state owned land and then sold or leased to developers and others, but residential land can so far not be traded within the law. However, circumvention of state regulations unofficially sanctioned by local officials has created an informal residential land market in Bishan and Yi County making it possible for Ou Ning, Zuo Jing and others to purchase houses in Bishan. Due to the unofficial character of this residential land market and the consequential lack of real estate agents, it still requires good connections with the villagers to purchase a house, since you need an introduction to the farmers who are willing to or can be persuaded to sell. Moreover, not many people dare to undertake the costs of buying a house without the necessary legal protection in case of expropriation, further limiting the scope of this informal residential land market. To address these issues, Anhui Province is from the beginning of this year piloting an official market for residential land in a selected number of counties (scmp.com), including Yi County under whose jurisdiction Bishan is placed. This pilot residential land market makes it possible for external actors to purchase or lease houses and land within Bishan village legally, something which can potentially transform the appearance and demography of Bishan once again. Ou Ning explains that it is often wealthy urban people who are able to buy the old houses and undertake the high costs of restoring them. 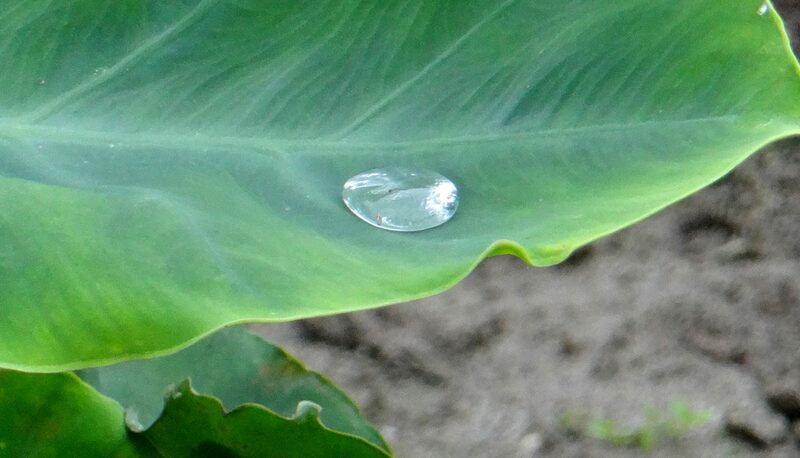 Mrs. Liang, who has recently purchased a house in Bishan, says that she wants to convert the land in connection to her house into a flower garden, since “it is not pretty to look at cultivated farmland”. This statement suggests a problematic attitude towards the rural cultural landscape. If the further opening up of the housing land market implies an invasion of unscrupulous capital with no consideration for and appreciation of the existing rural cultural landscapes and practices, then Bishan might be on the path of a dangerous development, turning the village into an urban playground, designed to fulfill the ever-expanding needs of urban residents and tourists. If it fails to integrate the rural residents into the decision making process, this kind of development tends to neglect the needs of the rural population by not creating any real job opportunities for farmers, who may have limited education, and causing a fluctuation in housing prices and general living costs. This is also an aspect where the presence of Bishan Commune in Bishan can be a significant factor. Bishan Commune and other similar groups continuously make an effort to persuade newcomers to the area as well as local villagers and officials of the importance of preserving rural culture as a visible feature of Bishan and direct the development in a more sustainable direction. If they succeed, then Bishan might be able to change for the better, providing job opportunities that will allow young people the possibility to choose to stay in Bishan. The need of Bishan to develop economically is a stated priority of many of the local residents, who generally support expropriation of farming land, since it brings new investment to the area. Ongoing discussions with the villagers on this subject make the economical aspect a concern which Bishan Commune has had to take into consideration. Even though they might not always agree with Bishan Commune on the terms of development, local villagers and officials show great support for the initiative. As a means to establish an alternative economic circuit in Bishan, Ou Ning recently proposed the ‘Bishan time money’ currency, where smaller tasks, such as housekeeping at the local guesthouse Pig’s Inn or helping in the fields of Young Village Officials Garden, can be exchanged for a meal at the local hotel Tailai, for books at the soon-to-open branch of the Nanjing bookstore Librairie Avant-Garde, or for second hand artifacts donated to the shop Ou Ning will open at Buffalo Institute and so forth. All the Bishan time money members agree to this system of exchange. Even though the system valorizes labour in a manner maybe not entirely consistent with Kropotkin’s concept of “mutual aid”, which is publicly advocated by Ou Ning, and although it may not bring any direct job opportunities, it still provides an important alternative to the existing model and manages to incorporate the villagers’ concerns for some sort of economic possibilities. Furthermore, Bishan Commune can be an important marker of identification and will give Bishan a special standing in relation to the neighboring villages, providing that “something different”, which will be important when attracting the right kind of “caring” capital to the village. The Bishan time money system has yet to be put into effect, but Ou Ning expects it to be set in motion sometime around next spring. In my opinion, the most interesting aspect of the Bishan time money is how the villagers will embrace this new system, if they will make it their own, thus creating the possibility that this alternative currency might expand beyond the limits of the original core members and enter village society as a whole. When asked whether Ou Ning has discussed making an independent monetary system in Bishan with the local officials, he answers: This I do first, and then I ask. The coming years will show, how the presence of Bishan Commune in the village and the introduction of Bishan Time money combined with a reformed residential land market will affect Bishan and which direction the development will take. But to answer the question Tom Cliff asked in his introductory article on Bishan Commune: Is intention sufficient? I think it is safe to answer, that with this kind of project intention can never be sufficient. But intention is an important trigger for agency, and in Bishan Commune’s case it is an agency that is constantly reinvented and renegotiated in collaboration with local actors, thus aiming at creating new spaces of possibilities in Bishan and beyond. Mai Corlin is enrolled as PhD student at Aarhus University, Department of Culture and Society, Asia Section. Her project is entitled Utopian Imaginaries in Rural Reconstruction – Urban Artists in Rural China and is concerned with socially engaged art in the countryside of China. Informal conversation with Mrs. Liang, Yixian, October and November 2013.